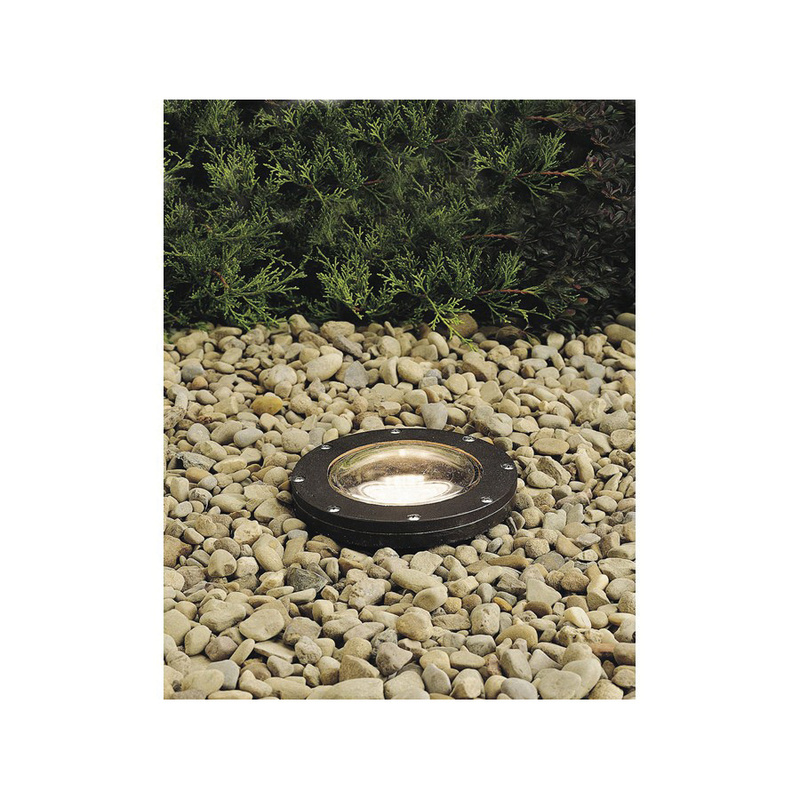 Kichler In-ground light in architectural bronze finish, has thermoplastic composite resin construction for added durability. This light features heat-resistant convex clear glass shade. The light has a power rating of 50-Watts and voltage rating of 12-Volts. The well light supports one PAR 36 incandescent lamp with a power rating of 50-Watts.